Who will be this year's Westminster winner? The 143rd Annual Westminster Kennel Club Dog Show takes place in NYC next Monday and Tuesday, February 11–12, so all eyes will be on the pooches competing to be Best in Show (while for some spectators, the famously devoted owners and trainers will be the ones to watch). This year, 204 breeds and varieties are eligible to compete, categorized into seven groups: sporting, hound, working, terrier, toy, non-sporting, herding. 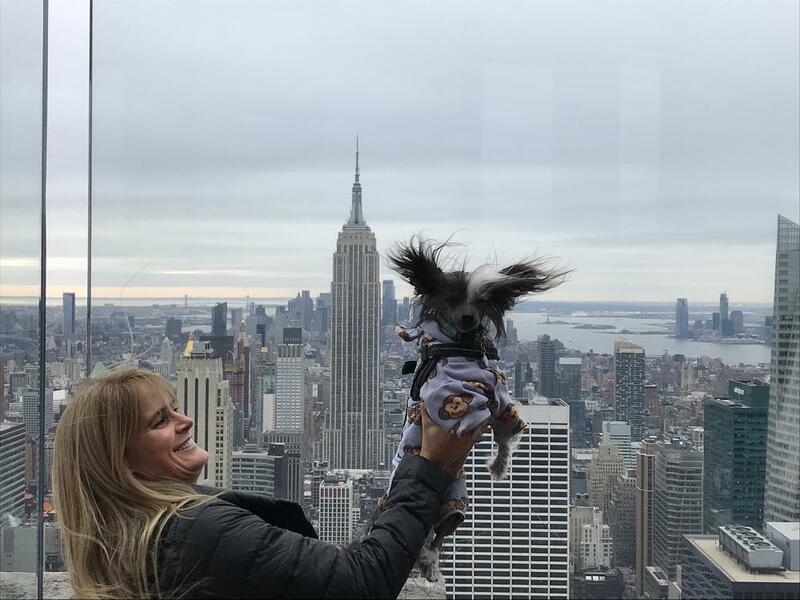 Last year's winner, Flynn the bichon frise, posed at Top of the Rock after his victory, and the 2019 champ will do the same. And it's not only a fabulous photo op for the prize pooch, but a nod to tradition—as it turns out, the Rockefeller connection to the dog show is remarkable. The Westminster Kennel Club, who paid a visit to the observation deck on January 23, filled us in on some of the family history. William A. Rockefeller, the nephew of John D. Rockefeller Jr., who built Rockefeller Center, served as president of the club from 1953 to 1969. He first made an impression in 1948, when his Bedlington terrier won Best in Show at Westminster. Later, his son William Rockefeller oversaw the club as president from 1975 to 1984, and like his father, led the organization in donating funds to help promote canine health and well-being. What's more, in a family of nature and animal lovers, John D.'s cousin Geraldine Rockefeller became known as the 20th's century's "first lady of dogdom." In addition to founding the Morris & Essex Kennel Club with her husband, she also became a founding contributor to the Cornell University College of Veterinary Medicine's Baker Institute. The Westminster Kennel Club's 2019 events begin with the Masters Agility Championship on Saturday, February 9, and continue through the awards on February 12. See the full schedule here.